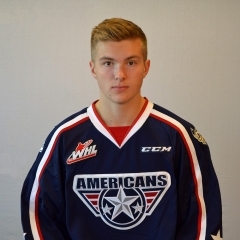 F Michael Rasmussen of the Tri-City Americans may not play again this season, due to what the team is saying is a fractured wrist. Rasmussen is believed to have a broken scaphoid in one wrist. optimal blood flow due to its location. The 6-foot-5, 200-pound Rasmussen is expected to be a first-round selection in the NHL’s 2017 draft. From Surrey, B.C., he has 55 points, including 32 goals, in 50 games this season. He last played on Feb. 1. The Americans are 7-3-0 without him. They started by losing three in a row and now are riding a seven-game winning streak. They will visit the Seattle Thunderbirds tonight and then head for Kelowna and a Saturday night date with the Rockets. 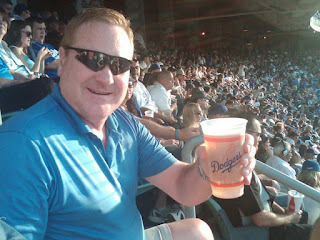 Rasmussen, who doesn’t require surgery, is under the care of Dr. Rodney French, a hand/wrist specialist, in Vancouver, B.C. Dr. French is expected to re-examine Rasmussen in about six weeks. Tri-City also has been without F Vladislav Lukin (undisclosed injury). He hasn’t played since Feb. 18. Bob Tory, the Americans’ general manager, told Taking Note on Thursday that Lukin won’t play this weekend, but that they hope to have him back for a March 10 date with the visiting Prince George Cougars. Lukin has 55 points, including 24 goals, in 61 games, so getting him back will help take some pressure of the other forwards in Rasmussen’s absence. You have to think that the WHL wasn’t intending to keep mothers away from sons, though. But the law of unintended consequences struck in Kamloops on Wednesday night following the Blazers’ 5-4 OT victory over the Seattle Thunderbirds. Seattle F Ryan Gropp, a 20-year-old who is from Kamloops, likely had played the last game of his hockey career in his hometown. Afterwards, well, here’s Marty Hastings of Kamloops This Week . . .
“Members of Gropp’s family were waiting near the dressing room to see him after the game, but were told to leave by security, which was acting on instructions to keep the general public away from players due to the WHL’s well-documented mumps outbreak. “A mother just wanted to see her son. That eventually happened in the face of the ever-growing swarm of security guards. Mom didn't leave until getting a hug from her son, which is all she wanted in the first place. The photo in the above tweet was taken the previous weekend when all the parents were in Kent for parents' weekend. Hastings’ complete game story is right here. The NHL’s Washington Capitals have signed D Lucas Johansen of the Kelowna Rockets to a three-year, entry-level contract. Johansen was selected by the Capitals in the first round of the NHL’s 2016 draft. This season, Johansen, 19, has 36 points, including 30 assists, in 60 games. Last season, he put up 49 points, 10 of the goals, in 69 games. Johansen, from Port Moody, B.C., is the younger brother of F Ryan Johansen of the NHL’s Nashville Predators. The Capitals also announced Thursday that they have signed D Colby Williams, a former captain of the Regina Pats, to a two-year, entry-level deal. Williams, 22, has 13 points, three of them goals, in 49 games with the AHL’s Hershey Bears, with whom he signed a one-year deal prior to the season. Williams, who is from Regina, had 104 points, including 25 goals, in 211 career games over six seasons with the Pats. He served as the team’s captain in 2015-16. The Capitals selected Williams in the sixth round of the NHL’s 2015 draft. Three cheers for D Connor Hobbs of the Regina Pats. encountered some adversity of late and their lead has shrunk to five points over the second-place Medicine Hat Tigers, although the Pats do hold two games in hand. 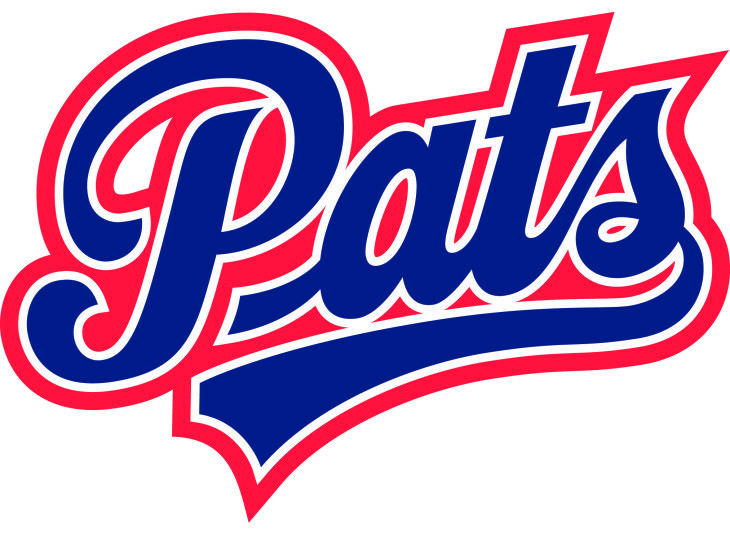 The Pats will play three times in fewer than 48 hours this weekend — they are at home to the Calgary Hitmen on Saturday night and then in Brandon for a Sunday (4 p.m.) start against the Wheat Kings. Regina may get D Jonathan Smart and F Filip Ahl back at some point this weekend. Ahl, who has 24 goals and 17 assists in 45 games, and Smart both have been out since Feb. 20. Prior to Wednesday’s game in Kamloops between the Blazers and Seattle Thunderbirds, I received an email from a fan asking if he could come up to the press box and say hello. “There are four of us coming up for the game,” Jon Whiting, a Thunderbirds’ fan, wrote in the email. Whiting showed up beside me in the second intermission and we had quite an enjoyable chat. It turns out that he has a friend who is a pilot and so they hopped in a small plane about 3 p.m., and were having dinner in Kamloops by 5:30. They flew back to Seattle after the game. Bob Miller, the longtime play-by-play voice of the NHL’s Los Angeles Kings, announced his retirement on Thursday, although he will work the team’s last two regular-season games, on April 8 and 9. That announcement may not have meant much to Canadian hockey fans, but it meant a lot to a pair of men who call WHL games. Craig West, the radio voice of the Tri-City Americans, and Mike Benton, who calls Everett Silvertips’ games, both watched the announcement via live stream. You can bet there was a tear or two, because Miller has been a mentor to both men. “Bob truly helped me so much showing me how to treat the game, the players, management and coaches with respect on both sides. 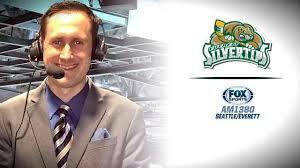 Mike Benton, voice of the Silvertips. “Bob’s name still stands on my resume as a reference, and he went above and beyond to phone the Stockton Thunder for a recommendation when I pursued (and landed) my first broadcasting job in hockey. As many fellow friends in the business can attest to, he was always willing to pick up the phone when you called his house. Whatever he was in the middle of, he was always willing to give you 5-15 minutes of an intimate and warming conversation, whether to catch up or provide solid, raw, and unfiltered career advice. Benton’s blog is right here, and he wrote a whole lot more about what Miller means to him. F Ty Lewis of the Brandon Wheat Kings was back at practice on Thursday. Lewis is second on the Wheat Kings in goals (28) and points (61) and leads in assists (33). He missed Wednesday’s 3-2 OT loss to the visiting Lethbridge Hurricanes in which Brandon dressed 17 skaters, one under the maximum. . . . The Wheat Kings are at home to the Calgary Hitmen on Friday night. . . .
Bill Yuill, the head of Monarch Corporation and the owner of the Everett Silvertips, is chairing a committee in Medicine Hat that wants to manage The Arena, the former home of the Medicine Hat Tigers that has been scheduled for closure. . . . Collin Gallant of the Medicine Hat News has more right here. . . . There was a time when the day of the NHL trade deadline was like a car wreck from which you couldn’t look away. That was then. This is now. On Wednesday, when I flipped on TSN, the talking heads were debating whether they would trade Auston Matthews for Connor McDavid. Click! That was the end of that. . . . Ken Campbell of The Hockey News, meanwhile, writes right here about The Yard Sale for Misfit Toys. Al Conroy followed up his 112 point season by racking up 97 assists in 84-85 which is second most in one season in franchise history! If you aren’t already, you should be following the Medicine Hat Tigers (@tigershockey). They have been reliving the franchise’s history and it has been a lot of fun that includes a lot of familiar names, like Al Conroy. Kelowna at Everett, 7:35 p.m.
Lethbridge at Prince Albert, 7 p.m.
Medicine Hat at Regina 7 p.m.
Kootenay at Saskatoon, 7:05 p.m.